Great for a Psychologist...Useless information! First of all one should have a working understanding of biology or half of this book won't make sense. The speaking portion of it is good and can keep you engaged, but it is full of what I consider worthless information. I did go through the whole book as there are some nuggets within it, but I did contemplate returning it. In addition, I don't believe it's really a book. It's taken from live speaking seminars. This has high ratings and contains some good information. 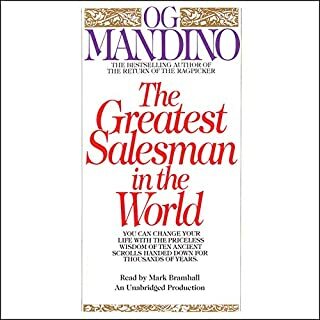 Written in the style of the Richest Man in Babylon, I found this book to be ok just not great. I may listen to it again just to see if it was my mood that didn't really get captivated by it. Probably best suited for someone starting out in sales. The book is very well written and is very engaging due to the war stories. How the war episodes are then translated into business examples is excellent. 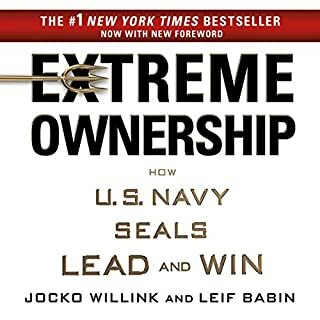 I have recommended this book to several people and all found it to be one of the best books they've read. I've now read it twice. Actually, every principle they deal with is applicable. I am very impressed with all aspects of this book. This is one of my favorite books I've ever read. It is excellent! 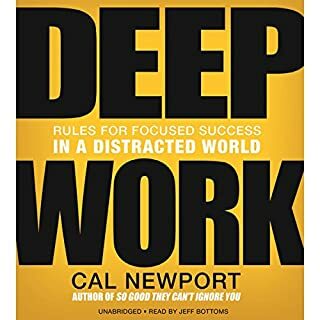 Where does Deep Work rank among all the audiobooks you’ve listened to so far? The content is good, but more text book style and not engaging. It was hard for me to listen to this, but I did gain some good points out of it. 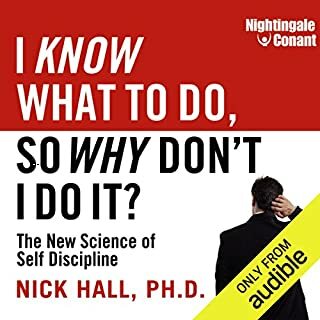 Overall, it would rank low compared to other books I've listened to. This Was A 50% Book - Half Good! 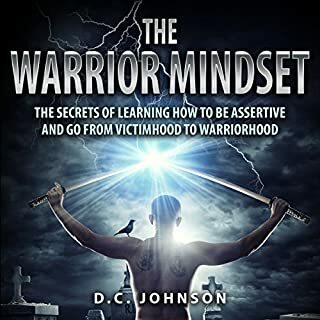 What did you like best about The Warrior Mindset? What did you like least? What I liked best and what was excellent is when he talked about the mindset, emotions, and the contrast between a warrior and a victim. What I did not like was when the author tried to make application of the outstanding principles. One in particular was money mangement. There were many solutions, but they all were of a poverty mindset, like shopping in Thrift Stores for clothing to save money. A warrior, if he wants to wear a $200 shirt will figure out how to make the money that will support his life decisions. Would you be willing to try another book from D. C. Johnson? Why or why not? At this time, I am not sure. In addition to my writing about what I liked and disliked it seems the recording was done economically. There is a whistle in the readers voice that I believe is just a microphone or mixing issue that could have been cleaned up. It was annoying. What did you love best about Einstein? I learned things about Einstein that I did not know. His life was interesting and I thought the story line flowed well. 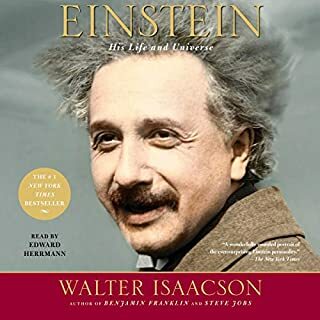 At times it gets bogged down in Physics, which I wasn't as interested in, but since that is his life I guess it would be hard to tell his story without it. 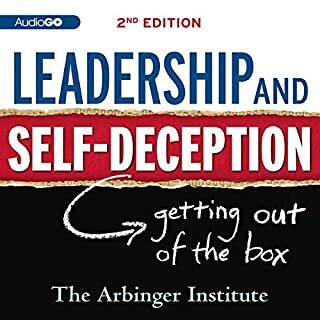 Would you listen to Leadership & Self-Deception again? Why? Actually I have it slated to listen to again. The reason is that I don't think I got everything I needed to out of it. It has some great content in it, but for me it was hard to stay engaged. It seems to me that they wrote this after the style of The Richest Man in Babylon, but is not as compelling. What made the experience of listening to Understanding Trump the most enjoyable? Newt is brilliant and probably understands the world better than most anyone on the planet. 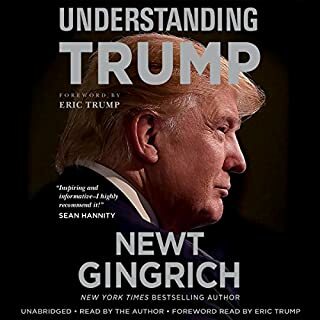 However, the book would be better served to be called "Understanding What Trump Needs to Do." I bought the book as I wanted to gain insight to what makes the man tick. Only about 30% of the book deals with this. The rest of the book talks about what is going on in the world, what Obama did wrong, what the Dems have done worng and how Trump should handle it. In fact, many times I would think that Newt wrote this hoping President Trump would read it so he would understand how to handle the world. Just my take. I'm not saying it's a bad book (I actually supported Newt while he was running). I love the way he thinks. I just think the title is misleading. 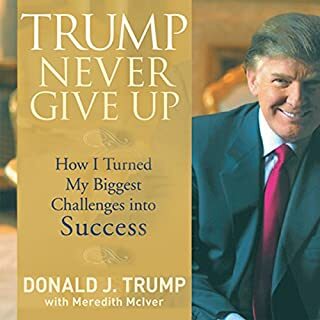 Would you listen to Trump Never Give Up again? Why? Yes, while on one level this reads as a bragging book I'm not sure he could havr done it differently as it was about not giving up and seeing things through to success. It's the first Trump bookI've ever read and I was pleasantly surprised. 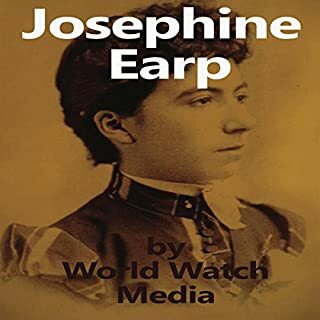 Josephine was born in New York City to a Prussian Jewish household; her daddy was a baker. They transferred to San Francisco, where Josephine went to dance school as a lady. When her daddy had trouble discovering work, the household relocated with her older sis and brother-in-law to a working-class tenement. Josephine escaped, potentially as early as age 14, and took a trip to Arizona, where she had an "experience." She might have shown up in Prescott, Arizona as early as 1874. No! There was some informative information, but the book was overall boring. Good thing it was short.